Up to 10 lbs. 11 lbs. - 20 lbs. 21 lbs. - 40 lbs. Over 40 lbs. Meade Instruments proudly introduces the LX850. 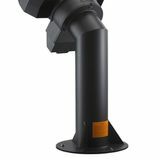 The fast f/8 Advanced Coma Free optical system produces a wider, flatter field with no coma for pinpoint stars out to the edge of larger imaging sensors and extreme wide angle eyepieces. Meade 8" Equatorial Wedge #07002. Allows for polar alignment of Meade 8" model ACF and SC models, as required for long exposure astrophotography and imaging. 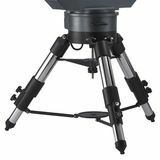 For use with Meade Field Tripods as supplied with compatible models. Meade X-Wedge #07028. 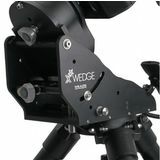 For long exposure astrophotography and imaging with Meade LX200 and LX600 models. 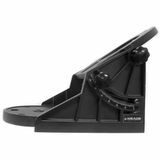 This extremely heavy duty wedge allows for secure and stable mounting with exceptional vibration damping of larger Meade SC and ACF telescopes. 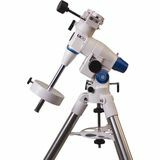 The Meade LX70 German EQ mount includes enhanced features including brass worm-gear drives on both axes for smooth tracking performance, aluminum setting circles and built-in leveling bubble. 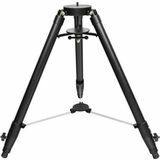 This tripod can used with full-sized binoculars or spotting scopes. It is a standard 1/4"-20 attachment bolt. 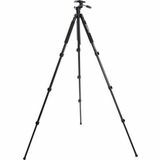 Acrobat 80 - Advanced Photo Tripod . 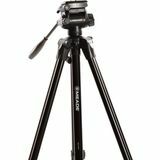 This high quality photo tripod gives you the rock solid foundation needed for sports optics. 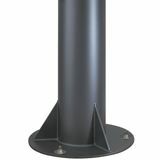 This steel pier offers an outstandingly rigid, permanently mounted installation engineered to minimize any vibration. 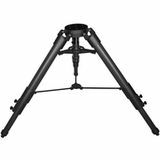 Strong enough to carry the weight of the 16" LX200 with any and all accessories including piggybacked telescopes. 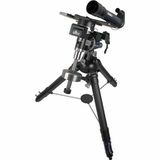 Steel pier strong enough to carry the weight of the Meade 16" LX200 with any and all accessories including piggybacked telescopes.